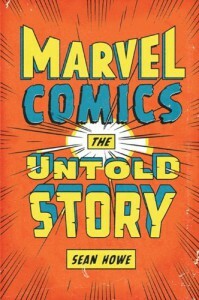 For my birthday last year, my parents bought me, independently, copies of Sean Howe's Marvel Comics: The Untold Story. I started reading it a few days ago, and tore through it at a speed that employed, married, video-game-owning me doesn't usually reach. I am directly in this book's target audience, is what I'm trying to say here. So while I'd like to think Marvel Comics... would interest someone with no knowledge on the subject, I honestly don't know if that's true. I hope it is. Not only do I love a huge number of the comics that Marvel has put out in its lifetime, I also love Stan Lee immeasurably. 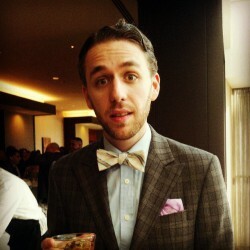 There was a time when I bought entirely into the image that he's carefully crafted for himself and believed that he, as the writer, had basically created everything. Later I read Jack Kirby's Fourth World books and realized just how great The King was not just as a comics artist, but as a creator. I soon became aware of the "Kirby created everything and got fucked over for it" version of events that many Kirby fans prefer, but I could never find it in myself to vilify Lee. ...generation gaps are one of the major themes of this history. The clash between Lee and Kirby's WWII generation and the artsy new writers who started to take over in the 1970s is particularly fascinating. In the early '70s Marvel's coastal and metropolitan blue collar types, who started working in comics to get through the Depression, are slowly supplanted by young men (and yes, almost all men) who had grown up in other parts of the country, loving comics desperately, and were much pricklier about their artistic expression.